Expect the best and you get it! 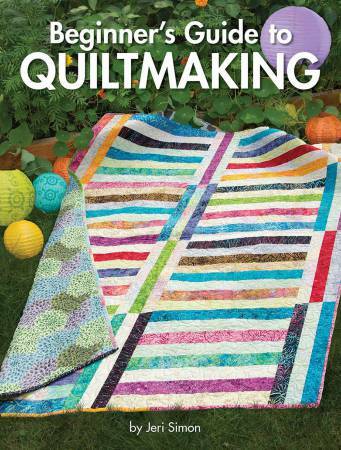 Everything a beginning quilter needs to know to get started and finish a quilt successfully is presented in Beginner’s Guide to Quiltmaking by Jeri Simon. Includes getting started, choosing fabric, preparing fabric, rotary cutting, sub-cutting, left-handed rotary cutting, fussy cuts, 7 basic blocks, machine and hand applique techniques, assembling the quilt top, straight set, diagonal set, borders, finishing the quilt, quilting the quilt and adding a hanging sleeve. Features 450 how-to step-by-step photos and illustrations, 7 quilt projects, 16 sizing and setting charts, 6 helpful formulas, a glossary of quilting terms and definitions.